Need sound in a remote location like a wedding reception at the beach? AVIVA rents Honda EU 2000i generators for any remote power need from cliff side wedding ceremonies to camping vacations. Ask the sales staff at AVIVA Rental Systems about any and all of your event accessory equipment rental needs for your next conference, meeting or event. Call AVIVA Rental Systems at 804.353.9212 or e-mail our Event Director at doe@avivarentals.com to discuss your generator rental needs today. 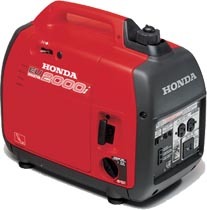 Using it's built in inverter technology, the Honda generator provides power quality equal to or better than the electrical current from your household outlets making this generator perfect for high tech professional electronics such as sound systems, computers, projectors, plasma displays, and virtually all other pro audio, pro video, and presentation technology equipment. The Honda EU 2000i is 2000 watts, 120V and ideal for TV/DVD, satellite, fridge, coffee pot, and more. Super quiet (53 to 59db) and easy to carry the EU2000i weighs less than 47 lbs! Fuel efficient as well, get up to 15 hours on 1 gallon of gas. AVIVA also carries the DieHard Portable Power 1150. Powerful and versatile remote event power, the Portable Power's 1150 peak amps can jump start 12V vehicle batteries. 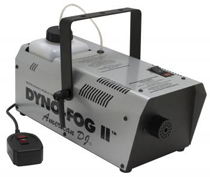 Its two, 12V DC power outlets power up to 50 hours of DC power for accessories and its two, built-in lights. But wait, that is not all! The Portable Power 1150 can inflate/deflate mattresses, boats, toys, car tires and sports balls with built-in 150 PSI Air Compressor. You could take a moon bounce to the moon and inflate it! Two, AC outlets power up to 400 watts of household power for small electronic appliances/devices. Built-in automatic charger recharges the internal 22Ah DieHard� battery so power is available when you need it! Includes: battery cables, pressure gauge, hoses, nozzles, male-to-male plug. Ask the sales staff at AVIVA Rental Systems about any and all of your event accessory needs for your next conference, meeting or event. Call AVIVA Rental Systems at 804.353.9212 or e-mail our Event Director at doe@avivarentals.com today!